Wow! 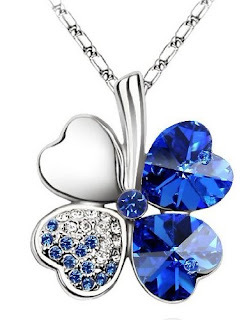 Hurry over to Amazon to score this beautiful Swarovski Elements Crystal Four Leaf Clover Pendant Necklace for ONLY $5.98 ($3.98 + $2 shipping) This has a list price of $39.99 and for being so inexpensive, has great reviews! NOTE: If you scroll down the product page a little bit, you'll find several other colors at varying prices!